Sure, bridge mode works but you potentially expose all of your private files and information to anyone that joins over WiFi. Doesn’t sound too secure does it? 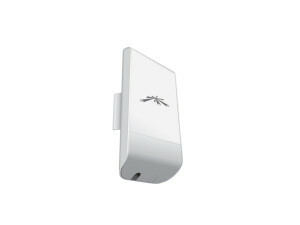 Are you in a situation where you want to hook up a Ubiquiti Nanostation downstream from a router and it doesn’t work, or you have to put it in “Bridge Mode”? We would like to point out a not so well documented method that utilizes the Nanostation’s built in router mode to create a private guest hotspot. This mode hands out IP addresses on a different subnet, handles NAT and forwards DNS requests out of the default gateway. 1. First, you will need to know the IP address of your Ubiquiti Nanostation. If you do not know this, you can either hard reset it with a pin and use https://192.168.1.20 or the device discovery tools below to locate it for you. 2. Login to your Nanostation using a web browser address bar. If you forgot the username and password, you will have to hard reset the device anyway. The default username: ubnt and password: ubnt will get you in. Click “Change”, wait for it to complete and then click “Apply”. At this point, the Ubiquiti Nanostation will reboot, you will loose access to the web login (IP address of Nanostation will change) and your new secure wireless network will be ready.